One of the essential skills to master in photography is the ability to compose an image successfully. It's very easy to get caught up in learning the latest Photoshop techniques and photographic technologies whilst ignoring the basic skills. But composition and creativity are very difficult skills to learn and take a lot of practice and patience to develop. This is perhaps why there is so little written on the subject. And of what is written, much tries to reduce good composition to a series of rules that can be followed. Unfortunately this rarely leads to success. Learning to see Creatively is an excellent resource that will repay your investment handsomely. There is however a proviso; you must set out to practice the simple techniques explained. Practice and keep practicing until they become automatic. 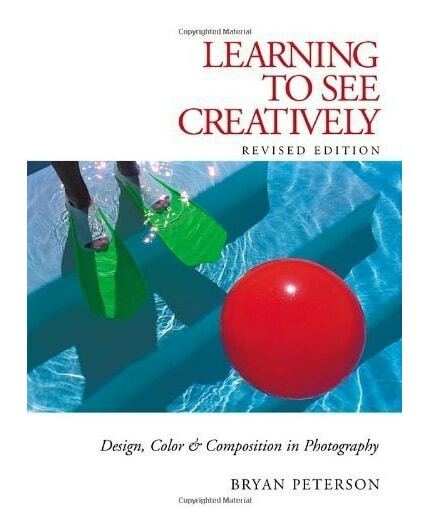 Developing a good eye for photography and composition should go hand in hand with this book. Highly recommended if you are seeking to develop your creativity and compositional skills.